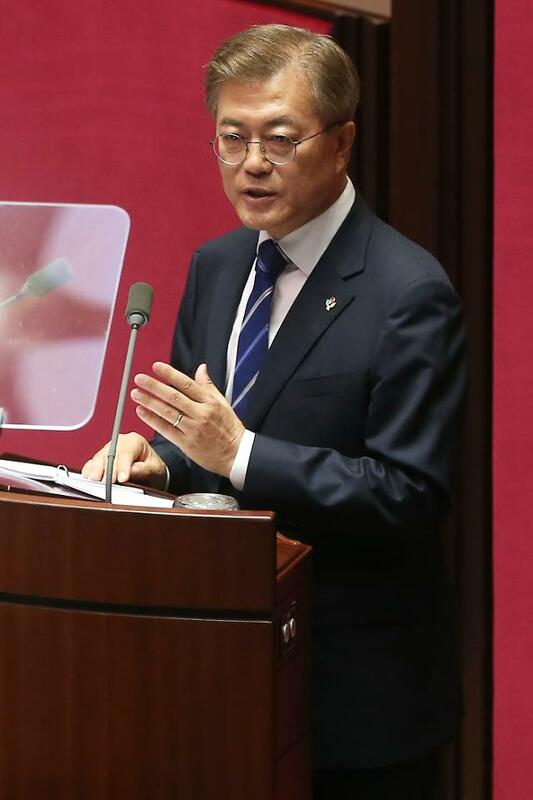 President Moon Jae-in called for quick parliamentary endorsement of extra government spending to create new jobs, warning South Korea may face an economic crisis if a record rate of unemployment is left unsolved. A government bill on the early execution of 11.2 trillion won (9.95 billion US dollars) in additional spending was presented to parliament but approval has been delayed. The ruling Democratic Party has 120 seats, far short of a majority in the 300-member National Assembly. "There are worries that the high unemployment rate may lead to a national economic crisis if we let it go," Moon said Monday in his first speech in parliament, describing unemployment as the "most urgent" problem South Korea should tackle now. In April, the jobless rate stood at 4.2 percent, the monthly highest in 17 years, with the jobless rate of young people running at a record high of 11.2 percent, Moon said. "The only way to solve it is to increase good quality jobs." Extra government spending is needed to create about 110,000 new jobs mainly in the public sector, including 12,000 in public safety and security such as police officers and firefighters and 24,000 in social services, he said. Growth based on the creation of new jobs was the catchword presented by Moon who called for support to bold reforms aimed at addressing South Korea's fundamental social and economic problems such as economic inequality and the polarization of income.